eNews: Springing up with a new season! Two things happen every spring here at the Phoenix Theatre. First, we announce a new season of plays; a new array of stories to be told that will become a series of opportunities for our students next year. Then, our students depart; some temporarily to summer jobs here or in their hometowns, while others graduate from the Phoenix – saying a final goodbye to friends and faculty and heading off to start a new stage of their lives. Over this summer, many of our students and alumni will band together to make theatre, and exercise what they've learned at university. We encourage you to support their work and keep an eye out for these emerging artists. See you again at the Phoenix in the fall! Brecht's satirical story of Mack the Knife and his marauding thieves. The Phoenix Theatre’s 2015/16 season features works by some of the world’s best playwrights, however our directors have made some amazing choices that help us see these playwrights in a new light. Bertolt Brecht's The Threepenny Opera (November 5-21, 2015) features the fantastic music of Kurt Weill and is definitely a landmark of modern theatre. However, director Brian Richmond looks forward to bringing his own spin on this satirical social commentary. He will be setting Brecht's iconic characters – including the villainous but irresistible Mack the Knife and his marauding thieves - into a dystopic, not-too-distant (and entirely possible) future where the earth’s environment has disintegrated and the economy has collapsed. Richmond has no doubt that Brecht's original critique of the bourgeoisie will continue to be just as pertinent when applied to a future society where the law remains fickle, money still corrupts, and crime continues to pay. A hilarious game of romantic cat-and-mouse amongst the Russian elite. Wild Honey (February 11-20, 2016) takes us into the world of the Russian country elite on a hot summer day. Called “Brilliant!” by the London Guardian, the script is based on one of the first plays that 19th-century Russian playwright Anton Chekhov wrote as a young man. The original work was never produced or even titled, and was not discovered until after Chekhov's death. Afterwards, it was dubbed Platonov, the name of the titular rogue character. In 1984, the acclaimed British playwright and renowned Chekhov translator Michael Frayne premiered his adaptation named Wild Honey at the National Theatre (starring Ian McKellen!). This new, shorter version of Chekov's hilarious love-triangle story swings between melodrama and farce and shakes them into an intoxicating cocktail. Director Peter McGuire (director of Picnic in 2014) is looking forward to having a bit of fun with Frayne and Chekhov's game of Russian cat-and-mouse! Tennessee Williams' passionate and bittersweet exploration of love and longing in turn-of-the-century Mississippi. A passionate and bittersweet exploration of love and longing in turn-of-the-century Mississippi, Summer and Smoke (March 10-19, 2016) is one of the lesser known and less-produced plays by American master playwright Tennessee Williams. Written during Williams' heyday on Broadway, the 1948 play is now a hidden gem that originally stood between two of William's greatest successes: A Streetcar Named Desire (1947) and Cat on a Hot Tin Roof (1955). It was adapted into a critically acclaimed Hollywood film in 1961, staring Geraldine Page as the small-town spinster Alma and Laurence Harvey as her self-indulgent neighbour John. MFA candidate Alan Brodie chose Summer and Smoke for his directing thesis production. Known across Canada as a professional lighting designer, Brodie returned to university last year to retrain as a director. He wanted the challenge of a play that was a traditional classic but was not often performed; Summer and Smoke fits the bill perfectly! full-face masks and music to tell their stories. As ususal with the Phoenix Theatre season, 2015/16 will open in the fall with an ode to our alumni. WONDERHEADS, based in Portland, Oregon, is a theatre company founded by UVic theatre alumna Kate Braidwood (BFA’ 03) and her husband Andrew Phoenix (great name!). With their creative use of full-face masks, expressive physical movement and inventive lighting and sound cues in place of words, WONDERHEADS' shows have been compared by CBC Radio to watching "a living cartoon for lovers and dreamers". Their production LOON (October 14-24, 2015) tells the whimsical story of a lonely janitor whose search for love takes him to the moon and back. (Watch the online trailer!) With "Critics Choice" and "Best Show" awards from Vancouver to Orlando, they have beensuccessfully changing audience's perspectives on the nature of theatre and storytelling across North America. Phoenix season are available now! Sign up for a three or four-show package and save up to 50% off regular priced tickets. You can see all four plays for only $50, or choose your three favourite plays for only $37.50. Booking now is also the best option to secure the best seating choices, knowing that our flexible exchange policy means you can switch shows if your schedule changes in the future. No extra charges. No worries! Fill out the subscription order form now. Or call us at 250-721-8003 to speak directly to our Audience Services Manager, Sandra Guerreiro. Even though the Phoenix Theatre will be dark this summer, Victoria has so much to offer the local theatre lover. Here's a list of shows to look for, many include work by students or alumni. Enjoy! 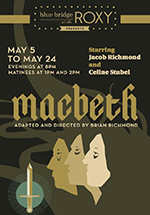 One of Shakespeare's darkest and most powerful tradgedies, Macbeth dramatizes the corrosive, psychological and political effects of ambition gone wrong through this timeless Scottish fable. Brian Richmond directs his own adapted version drawn from the original text with designs by alumnae Tamara Marie Kucheran, Laurin Kelsey and Rebekah Johnson, choreography by alumna Treena Stubel, and featuring alum Celine Stubel, Jensen Kerr, Levi Schneider, Nikola Whitney-Griffiths and student Chloe Dufort. 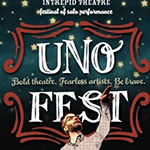 Now in its 18th year, UNO Fest is a curated, international festival of one-person shows featuring bold theatre makers and fearless artists. This year includes local favourites Mike Delamont and The Other Guys Theatre as well as artists from across Canada, the US, and the UK. This poetic and clever comedy earned a CriticsCircle Theatre Award. 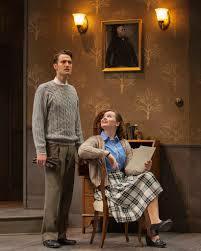 We find Felix Humble, a troubled physicist, brooding Hamlet-like over the death of his father and the much-too-quick move of his mother into the arms of a fun-loving neighbour. 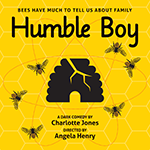 His solace is found in his father’s Cotswold garden and apiary where a prying spinster, a past lover, and the bees allow for musings about life and the universe. An outdoor live performance festival event for the whole family, Bike Ride (getting a new and improved, but yet undisclosed name this summer!) presents a series of short shows along a 4km stretch of the Galloping Goose Trail and you, the audience, gets to ride your bike, walk, rollerblade or whatever, from show to show! 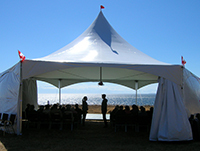 Shakespeare's classics outdoors by the Pacific, could you ask for more? Join this innovative company for their annual summer presentations which often feature lots of Phoenix students! Get out of the closet and into the theatre with a celebration of theatre, queer culture, and possibilities. This new festival brings together fearless queer artists and stories with eager audiences from this diverse island and abroad, seeking engaging and challenging theatre. A week of stories, surprises, parties and performances from and for the queer community and beyond. Made famous by the 1950's film, this play set in Chicago in the 1930s is the origin of several songs that have become classics, including "I Could Write a Book" and "Bewitched, Bothered and Bewildered". It follows Joey Evans, a manipulative small-time nightclub crooner whose other 'talents' keep him one step ahead of the law -- until he meets his match in the wealthy, middle-aged and married socialite, Vera Simpson! Two Shakespeare classics in repertoire over the summer outside on the lawns of Camosun College. Join Titania, Oberon, and the mischief-making Puck as they meddle in the affairs of human lovers in The Dream, directed by Phoenix alumna Britt Small, of Atomic Vaudeville. Bard on the Beach's Christopher Weddell directs Romeo & Juliet, where romance and danger meet in the story that gets better with each retelling. Rick Miller's explosive new solo performance documenting the music, culture and politics that shaped the baby boom generation. 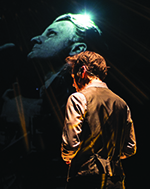 BOOM takes us through 25 turbulent years, giving voice to over a hundred influential politicians, activists and musicians – a mind-blowing experience for audiences of all generations. The annual Victoria Fringe Theatre Festival takes over the city every summer for an 11-day celebration of live performance from around the world, featuring an eclectic mixture of spoken word, drama, musicals, comedy, magic, music, theatre for young audiences and more. Watch for the August issue of BackstagePASS for a full list ofparticipating Phoenix students and alumni. Lots happening near and far for our alumni! UVic's Department of Theatre was just named one of the top five places to study theatre in Canada! OnStage, a blog site based in the United States that covers all things theatre, no matter the size of the production or the location, posted their list of "The Best Colleges for Theatre in Canada" this week. UVic's Department of Theatre ranked fourth in the list that also included York University, Univeristy of Alberta, Simon Fraser University, and Regina University. UVic was noted for its fantastic facilities, excellent programming and hands-on learning experiences. States blog writer Christopher Peterson, "There is no better learning tool than "doing". And at the University of Victoria, you're going to do a lot." Alumni and sessional instructor William Weigler (PhD ’11) takes a Train of Thought across Canada, expanding his 2013 project From The Heart: Enter in to the journey of reconciliation, which was originally staged at Uptown. 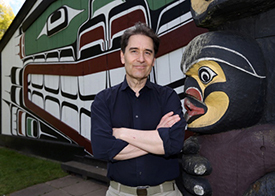 Not only is Weigler taking a cross-country tour of an expansion of this project, titled Train of Thought, he is also launching a book about the original production entitled From the Heart: How 100 Canadians Created an Unconventional Theatre Performance about Reconciliation. Read more in the Times Colonist article. Alumna Meg Roe (BFA '04) is back at the Shaw Festival this summer directing The Lady from the Sea, a new version of the classic Henrik Ibsen story written by Governor General Award-winner Erin Shields. The Globe and Mail's Kelly Nestruck spoke to Meg and Erin about the contemporary nature of Ibsen's female characters and his portrayal of relationships in a recent article. Amiel Gladstone (BFA ’94) recently premiered a new show with Western Canada Theatre, titled Are We Cool Now? Inspired by and featuring the songs of Dan Mangan, Gladstone’s newest work is an “indie rock road trip…full of humour and insight.” Earlier this year, Gladstone directed the premiere of Daniel MacIvor’s new play Cake and Dirt for Taragon Theatre in Toronto. Chemainus Theatre has Phoenix alumni working on their production of Agatha Christie’s classic gem, The Mousetrap. Victor Dolhai (BFA ’07) plays Giles Ralston (shown left), Claire Friedrich (BFA ’14) is the apprentice stage manager, and Laurin Kelsey (BFA ’07) created the set design. Theatre SKAM recently presented two shows filled with alumni and current students. Runaway, Mika Laulainen’s (BFA ’12) play that originally began as a ten-minute miniplay within SKAM’s outdoor theatre event Bike Ride, opened as part of Kaleidoscope’s Family Theatre Festival. It featured the talents of Kieran Wilson (BFA ’13) and Randi Edmundson (BFA ’12), and designs by Halley Fulford. Other alumni that were involved in the Family Theatre Festival this year were Janet Munsil (BFA' 89) with the premiere of a new work I Have Seen the Beautiful Jim Key, and members of The Old Trout Puppet Workshop and Puente Theatre in their co-production of The Umbrella. 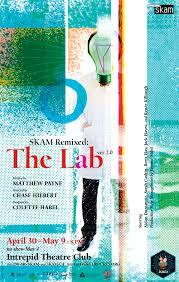 For their 20th birthday celebrations, Theatre SKAM continues to offer a series of remixed plays from their past. The Lab featured former SKAM interns and current Phoenixers Chase Hiebert (director) and Colette Habel (designer/dramaturge) who produced the show at the Intrepid Theatre Club, with a cast including Sarah Cashin (BFA ’15) and current students Aidan Dunsmuir, Brett Hay, Jack Hayes and Renée Killough. Craigdarroch Castle was recently visited by workingclasstheatre and their production of Henrik Ibsen’s Hedda Gabler. Artistic Director Tristan Bacon (BFA ’14) directed, with assistant direction by Joanne James (BFA 14). The cast included current student Nicholas Yee and alumnae Emma Hughes (BFA ’15) and Alexa Carriere (BFA ’15). Langham Court Theatre’s second-to-last show of the season, August: Osage County, featured the talents of a recent Phoenix alumna.Fresh out of her degree, Keshia Palm (BFA ’15) played the role of Johnna. The Leo Award nominations were just posted! These annual awards presented by the Motion Picture Arts & Sciences Foundation of BC highlight the best in BC film talent. Alumna Kat Jeffery (BFA '13) has been nominated for Best Costume Design for her work on Two 4 One, written and directed by UVic Writing professor Maureen Bradley and produced by UVic Fine Arts staff Dan Hogg. Kat has just finished her first term studying at the Tisch School of the Arts at New York University where she received a $300,000 scholarship when she was accepted. We wish good luck to Kat and everyone involved with Two for One, which was nominated for five Leo awards!